06, May 2015: People across the world often face the problem of traffic jam on the busy city roads. Airwheel Technology Company comes forward to address the issue of the frequent traffic congestion, with their range of electric two-wheeled scooters. These self-balancing scooters are available in a variety of designs and models. These scooters occupy a little space, allowing a rider to easily move through congested and crowded city roads. One can purchase an electric two-wheeled scooter at an affordable price and can easily learn to travel safely and in an effortless manner, overcoming the traffic congestion. The spokesperson of the company reveals that many people prefer using an electric self-balancing scooter, like Airwheel Q3 that is sturdy and stylish and its compact design makes travel smoother through a crowded space. The company has several types of self-balancing scooters that people can choose for their personal transportation to save time. At the same time, one can have a thrilling experience of riding a self-balancing vehicle that moves at a moderate speed to cover a short distance. Moreover, an Airwheel self-balancing scooter can also prove an affordable means of personal transportation. These battery operated scooters consume less energy and are environment friendly too. One can cover a significant distance after a single charge of the battery. All self-balancing scooters are fitted with large-capacity Japanese batteries that have a long life. 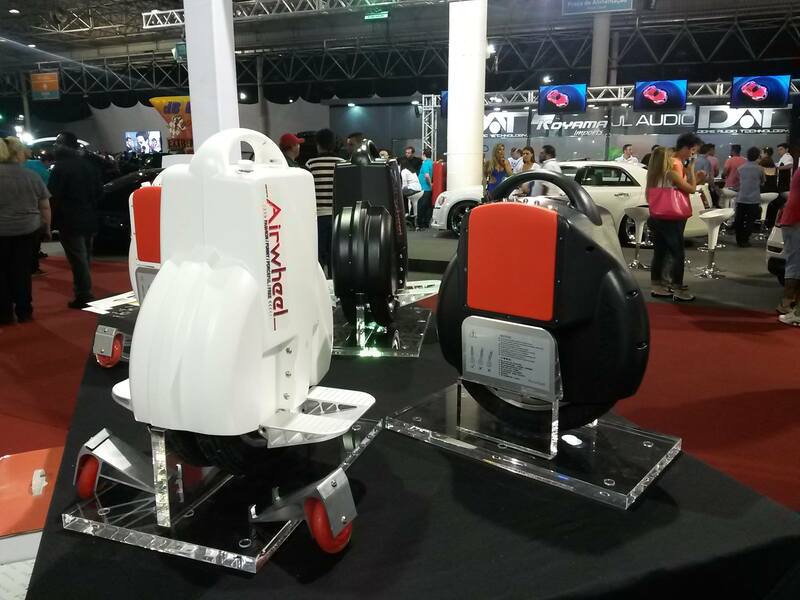 Airwheel self-balancing scooters are becoming popular worldwide because of their excellent features and benefits. The scooters are easy to ride with their gyroscope system and aerospace attitude control mechanism. The aerodynamic contour offers a great performance while there are design basics for safe riding and to reduce the impact of collisions. Riding self-balancing scooters is pretty similar to ride a bicycle and one can easily achieve the body balance and the desired control of its movement. Airwheel Technology Company offers state-of-the-art means of transportation, adopting the aerospace attitude control theory, fuzzy software algorithm, and gyroscope system to maintain balance by leaning forward and backward. Airwheel is the greenest and lightest smart unicycle which can be easily carried into buses or subways, facilitating daily commuters. Airwheel boasts of its major R&D center located in L.A (U.S).